﻿ Be an Adventurous Valentine Heart! Animal Print Essentials › General › Be an Adventurous Valentine Heart! Be an Adventurous Valentine Heart! 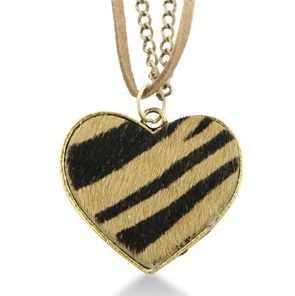 Animal Prints are making their statement once again Heart-shaped and Heart-warming! It seems to me that they are timeless all year round, yet right on the spot for Valentine’s Day! Who can resist this cute vintage Leopard print Apron? How about this hair calf Zebra pendant? I love the texture! Betsy Johnson’s Leopard print hearts are always creative and fun! 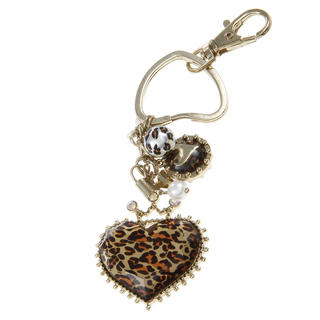 I love the heart-shaped loop that holds the keys, on this Leopard print keychain. Thirsty? 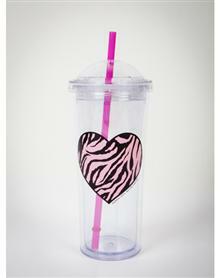 Take your Animal print tumbler wherever you go! The Zebra heart will remind you what’s really important: To treat yourself! How about giving a new Heart-beat to your office? 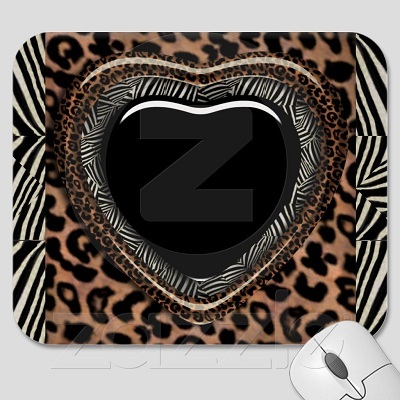 Let your mouse get into the adventure, with this fun Animal print Mouse pad. Animal prints will never leave you behind. Let your imagination run, and let your desire shape up in LOVE!